Here is the Direction Sheet. You can copy this image into a word document and print or you can make your own variation on PicMonkey, which I used! 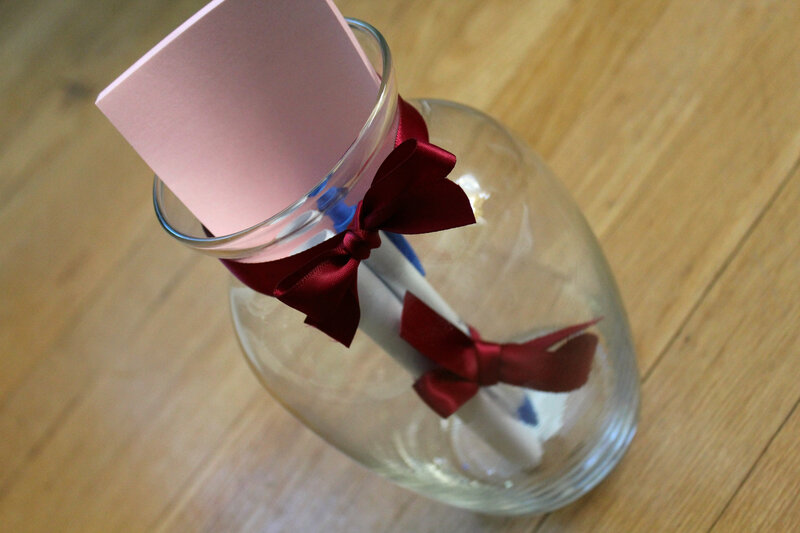 + Simply wrap the ribbon around the top of the jar to see how much you need to make a bow. Cut the desired length and tie. + Cut another piece of ribbon which will be tied around the pen and the direction sheet which you roll up. 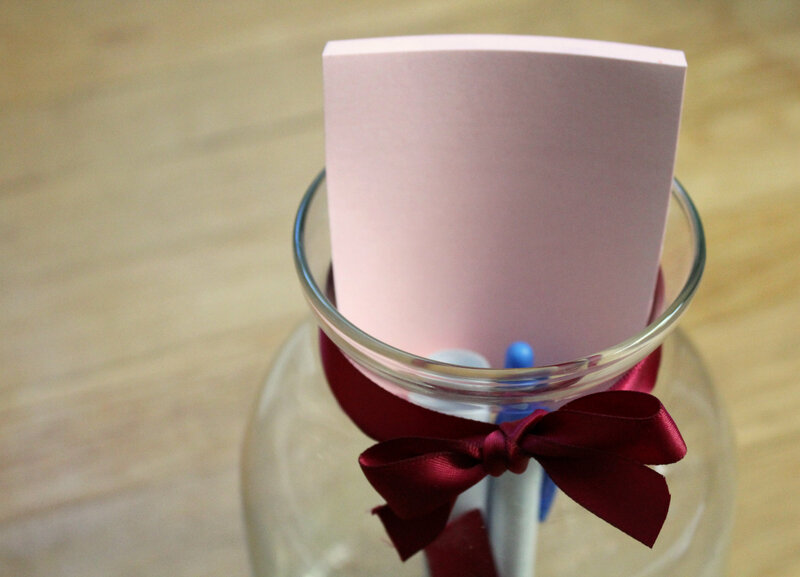 Tie the ribbon around each and place in the jar along with the pad! That’s it! 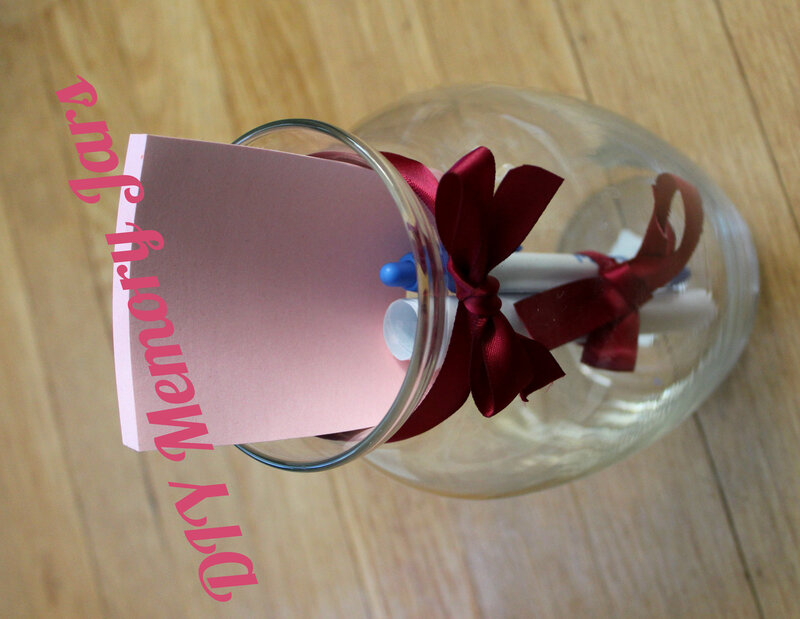 The work is really in the actually doing of the memory jar, not the making! Make one for yourself, a friend, family member, or whoever! 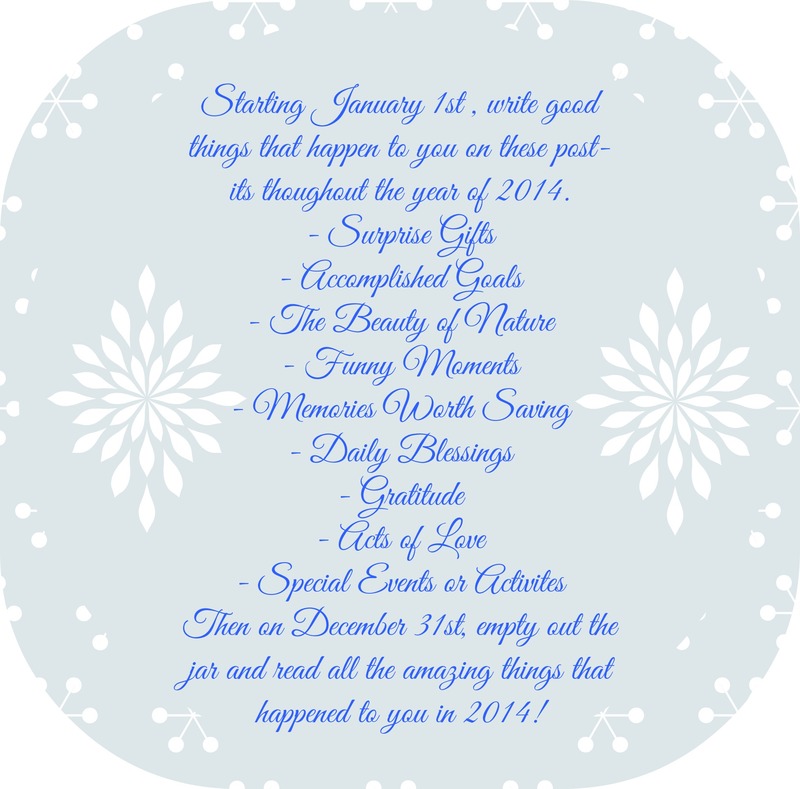 Just remember when the year is up to get together with that person and share what you have! You will probably get some laughs, cries, and smiles! I loved giving this gift to my mom, dad, and brother. We were all crying Christmas morning (but, that was mostly due to the separate cards I wrote for each of them). But this gift will definitely show the person you give it to love and the knowledge that you care about them and their lives! And get to it! You never know and might have a crazy awesome memory at midnight that you need to put in your jar! What did you give your loved ones for the holidays this year? What are you doing tonight? I want to know and love through your vicariously because I am doing…nothing and will probably fall asleep by 9 😉 Ill have to set my alarm for 11:55pm so I can be awake for the switch! P.S. Remember to make a lucky dish tomorrow to being in the good luck for 2014! What a sweet idea 🙂 Thanks for sharing at Share Your Stuff Tuesdays! Best Idea Ever! Really! No Kidding! I’m always too lazy for DIYs but this seems doable! If people actually remember to do it, I think I would be so fun to look back and read all the notes. Basically an easier way of journaling!